The twins Romulus and Remus may be the main characters in Rome’s creation myth, but Aiken has its own Romulus and he has four legs, not two. His owner Melanie Mitchell likes to point out that the 23-year-old gelding does have a Roman nose, but that’s his closest tie to Italy! Although he has some gray hairs on his face, the 16.3 Westphalian shows no other signs of his age. Retired from a promising dressage career many years ago due to chronic front feet issues, Romulus was never happy without a job, so he became Melanie’s go-to lesson horse and babysitter when she moved to Johnston in 2006. Melanie is a native Californian and it was there that she first saw Romulus. 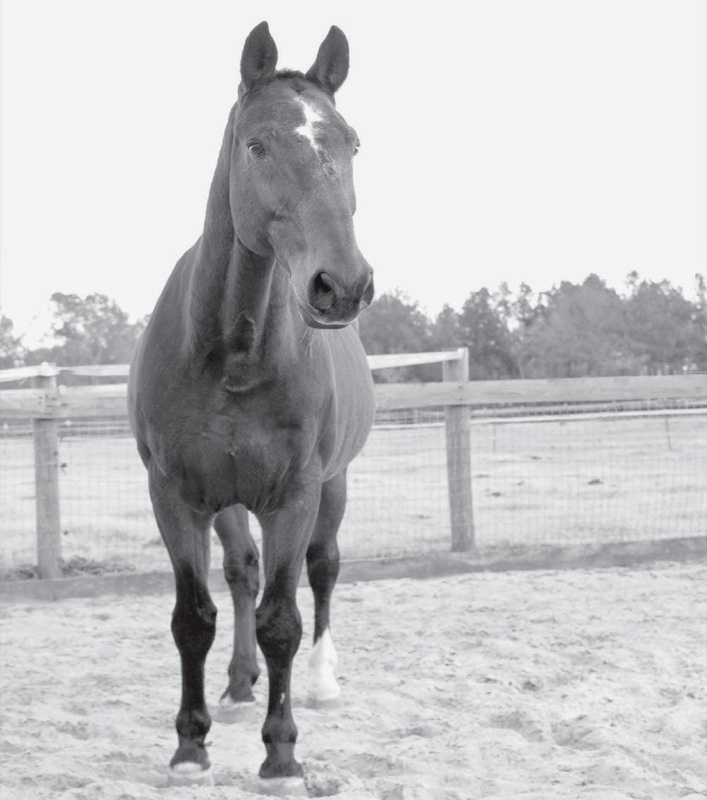 Shelley Lawder, a well-known dressage trainer, had brought him over from Europe to be her international horse. Melanie says it took her a few months to really get to know Romulus, even after reading the “Owner’s Manual” that Shelley had written for her. One of the first things Melanie did was to take her new horse to a clinic taught by Jane Bartle. This was during the late 1990s, when Melanie was the owner and operator of a very successful dog grooming business. She had a store and two mobile grooming vans. Horses were her first love, however, and she would get up at 4:30 each morning to ride Romulus before starting her workday. It should be noted that while Melanie worked hard, overseeing a staff that groomed 100 dogs a day, Romulus spent his leisure time atop the Palos Verdes Peninsula, in a gated equestrian community with an ocean view. By 2004 Melanie was getting tired of dog grooming and began looking for another career. A major door opened for her when she was hired by Charlotte Brehal-Baker, an Olympic rider, to be her assistant trainer. Although she was riding many of Brehal-Baker’s horses and learning her training techniques, Melanie still rode Romulus when he was sound enough. She also met Nicho Meredith at this time. Nicho is a popular, multilingual horse show announcer who travels the world while plying his trade. 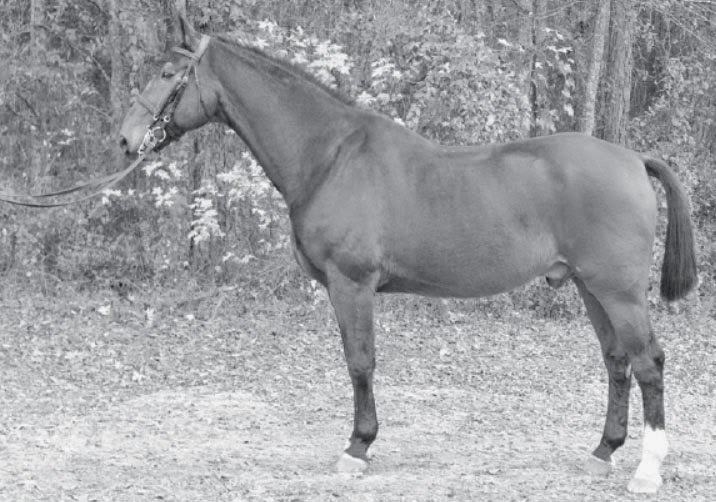 With California becoming so expensive, Melanie, Nicho and several horses made the move to the Aiken area in 2006. They have never looked back. They named their farm Aloha Acres, a tip of the hat to their memories of Hawaii, a favored vacation spot. Although there are currently 25 horses that call Aloha Acres home, there is only one king, and that is Romulus. Melanie quickly realized that he needed to be given some type of job because without work he became quite depressed. Romulus got with the program right away. One of Melanie’s clients was preparing for a show when her horse developed a hoof abscess. With three days to go, there was no way her horse would be sound before the competition, so Melanie made the decision to let her ride Romulus. The pair scored 67% and Melanie chuckles when recalling that the judge’s comments included the statement “Your horse shows excellent potential to move up through the levels.” Little did she know whom she was dealing with! Romulus has a simple diet of senior feed, beet pulp and timothy hay. He loves his stall and hates the summer bugs. He loves being in the mix of things, even if it’s just standing in cross-ties as an interview takes place.